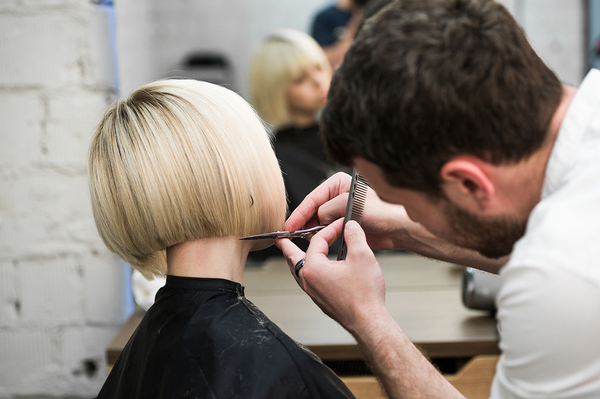 Making the most of your salon includes building the business. You’ve paid your dues, worked hard during your cosmetology education and own your own salon. Now, it is time to concentrate on building your business. So far, you’ve made all the right moves, hired a great staff, picked a thriving location and have a steady clientele. But, we’re talking about profit. Profit is more than how much you take in. It’s what is left after you’ve paid the bills, your staff and yourself. It’s important to take stock of your business on a regular basis. Whether your profits are solid and you can see a rising trend or if you need to work at it a bit, there is always room to grow. Let’s look at some ways to increase your profits and have the security of knowing that the business is working the way it should. It is important to set goals for your business. Unlike personal goals, those related to your business have different parameters. For instance, your business may seem robust, but are you seeing a predefined quota of new clients regularly? Setting a client goal each week or month is one way to keep track of where the salon is heading. It helps to share that goal with your stylists and front-end people since they are the ones directly involved in making appointments. Remember, the shop’s profitability affects everyone, so it makes sense to share the responsibility of meeting the goals you set. While having goals for your shop is the first step toward increasing your profitability, making sure it is happening is essential. Depending on what works out best for you, you might have weekly meetings to go over the numbers. Some shops find working on a set goal and tracking it on a daily basis is the way to go. Sending out emails to all staff members letting them know how far away you are from a goal on Tuesday gives them time to work toward meeting that goal by Friday. An established clientele will stay with you if you have to make necessary, small increases to keep up with inflation. Inflation generally rises at a rate of 3 percent every year. That increase is passed on to clients no matter what type of business the owner has. This is true of restaurants and beauty salons. Clients will not be turned away because of a small percentage increase each year. Make sure to be open about it, and they’ll be comfortable with your candor. 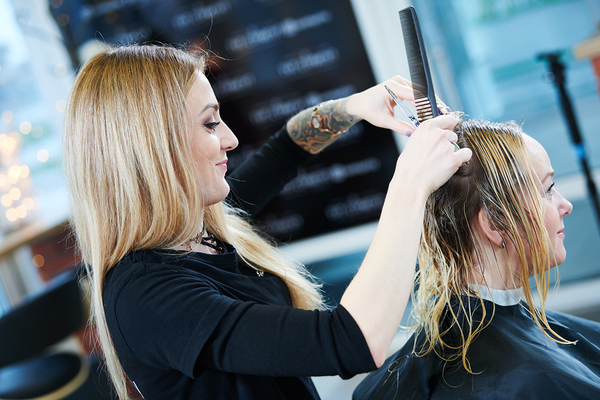 Let them know that the cost of bringing better or new services to the salon is partially responsible for the increase as well as the costs that are passed on to you by your suppliers. Anyone who shops knows this is true. Another reason is that your stylists are working hard to bring the best techniques to their customers by taking part in continuing cosmetology education. However you approach it, be honest, and clients will understand. When you open a salon, your goal is to get customers, pure and simple. One way owners do this, particularly in the beginning, is to offer discounts. However, the benefits of that are short-sighted. Over time, you are losing more money than you are gaining. Set a price structure and stick to it. Give your customers great service and a cordial atmosphere, and you’ll see that even without a discount, they’ll keep coming. A convenient, easy-to-use website can make it easier for clients to make appointments. It is important to increase the convenience level for your customers, so accepting credit payments online is common. So is allowing them to make online appointments. While setting an appointment online can be a cost-saving strategy, using a merchant account to accept payments in the shop or online may not be. Having a merchant account is necessary. The account you have does not have to be carved in stone. Shop around and find the best merchant account for you. Check out the fees they charge you as well as whether they provide free equipment and no-penalty cancellation fees. Running a business can be taxing, and time always seems to be in short supply. That’s true for your stylists too. One way to save time is to take online cosmetology education courses. At Beauty Academy, we know having online courses that are easy to take makes a difference. So, we’ve worked out a way that you can download your course online, and do the same with the test after you’ve read through the material. You can even download your certificate of completion. Pay when you’re done, and give us a call if you have any questions. We have knowledgeable representatives waiting for your queries. Click this link to look over our cosmetology courses today!